Users of Telegram, there's a great update to the app available. This new version brings a few big changes, including some Android-specific ones. The most notable ones for the messaging service as a whole are IFTTT integration and conversation pinning. Sounds cool, right? Pin important chats to the top of the list so that you never miss a new message. 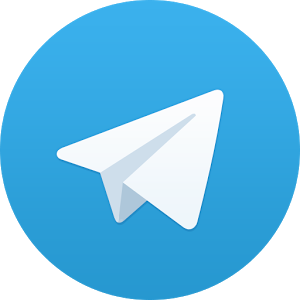 Link your Telegram account with hundreds of services like Twitter, Instagram, Spotify, Gmail, and others. Control apps via Telegram, or get messages when something happens. Talk to @IFTTT to set up. Rotate photos by any number of degrees in the photo editor. View YouTube and Vimeo in Picture-in-Picture mode. Forward content from groups and Cloud Chats to Secret Chats. Conversation pinning is pretty self-explanatory. You can now pin important conversations to the top in whatever order you prefer. This is great for both personal and professional uses. To pin one of your chat threads, simply long-press on it and select "Pin." Pretty easy. The Android-specific things are also really nice. I know of more and more people moving over to Telegram. This v3.15 update seems to be adding some great new stuff. Who knows, maybe I'll give it a shot.